Remember those days in the 90s when headphones are still an in-home accessory for your home audio system? Those headphones were so bulky and heavy that we never thought they could evolve into a popular device like it is today. The new generations of mobile devices like iPod and smartphones are the most important reason leading to the change of headphones. People want to listen to music everywhere, they couldn’t do that with big headphones, but now they can with the in-ear headphone thanks to its tiny design. The problem of the in-ear headphones is that they are too small! 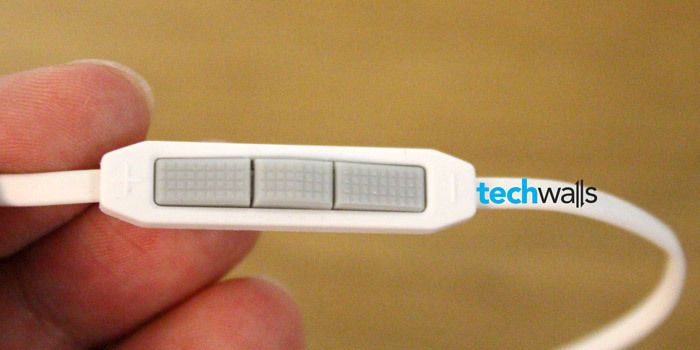 That means manufacturers have to make everything smaller and pack into the tiny headphone. Therefore, you probably can’t get a good in-ear headphone for the same price of an excellent full-size headphone. However, the manufacturers keep developing new products and the new JBL Synchros S200 could be the one we expected for a long time. Let’s read on my review of the headphone. It looks so gorgeous and I’m pretty sure you will want to keep the headphone on your ear. The version I got is the S200a, it comes with universal cable remote control that is compatible with most devices like Apple or Android smartphones. The control can be used to change track, adjust volume, play/pause or take a phone call. You can easily receive a phone call with the S200 because it has an integrated microphone as well. The control works great on smartphones and tablets, however, it didn’t work properly when I plugged into my Mac. The only functionality works on Mac is Play/Pause button. The Synchros S200 comes in two color, black and white, but the white version looks much better in my opinion. It is suitable for both men and women, and won’t interfere with with your hair, earrings or glasses. 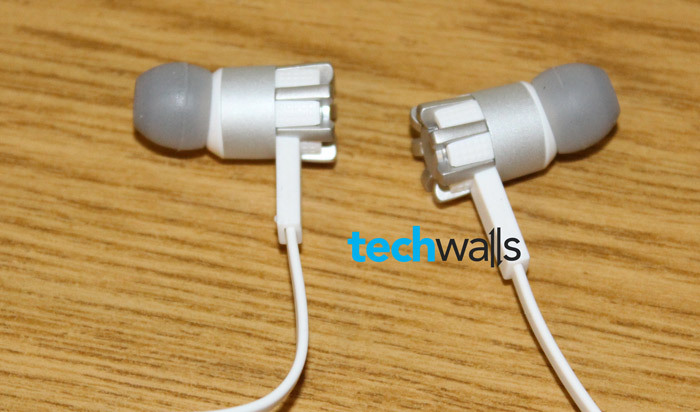 A common issue of in-ear headphone is that it slips out of your ear canal easily, especially when you work out. The S200 is designed deliberately with angled ear tips that provide stability and comfort for your ears and hold the headphone firmly. If it still doesn’t fit your ears, you can use try different sizes of silicone ear tips (S, M, L) or Comply foam tips. I prefer the Comply foam tips because they doesn’t hurt my ears and provide better sound isolation. All of those accessories are included in the box. One more advantage, the S200 is so lightweight that you will feel nothing wearing it. Overall, this is an awesome design. People have a prejudice against in-ear headphones because they think the full-size headphones always deliver better sound quality. I agreed with the point until I tried this S200 headphone. The most obvious downside is the bass response. I am so impressed with bass sound on this tiny headphone and this could be the best bass ever on an in-ear headphone I’ve tried. It’s far better than the Beats’ earphones. I even had to test it with other open-back and closed-back headphones to see the difference. Amazingly, the bass is just slightly weaker than my Sennheiser headphone and I only can see the difference after switching the two headphones continuously. I can’t believe the in-ear headphones have gone this far. This must be result of the 10mm driver with signature JBL PureBass. The sound is so clear on both low and high frequencies. It is said to deliver frequency response from 10Hz to 22kHz. In conclusion, this is a must-have headphone if you want music on the run. It is currently listed on Amazon for $129.95. One of the best earphones on the market. 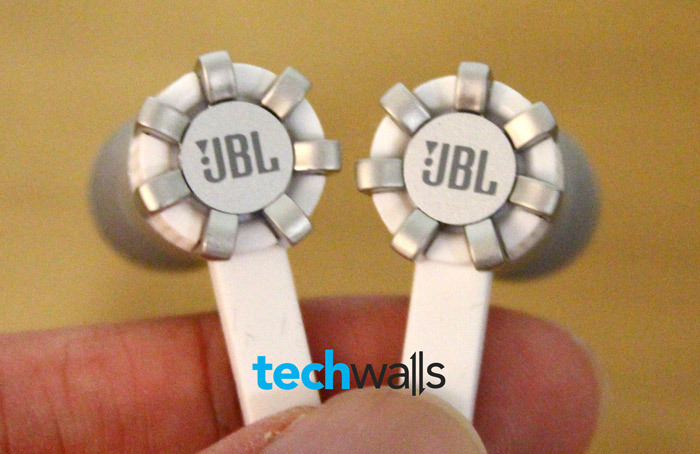 Jbl offers two versions of this headphone, namely s200a and s200i, for android and iphone respectively. Unfortunate the control keys of my s200i failed to run again when I got it from store just nine days. 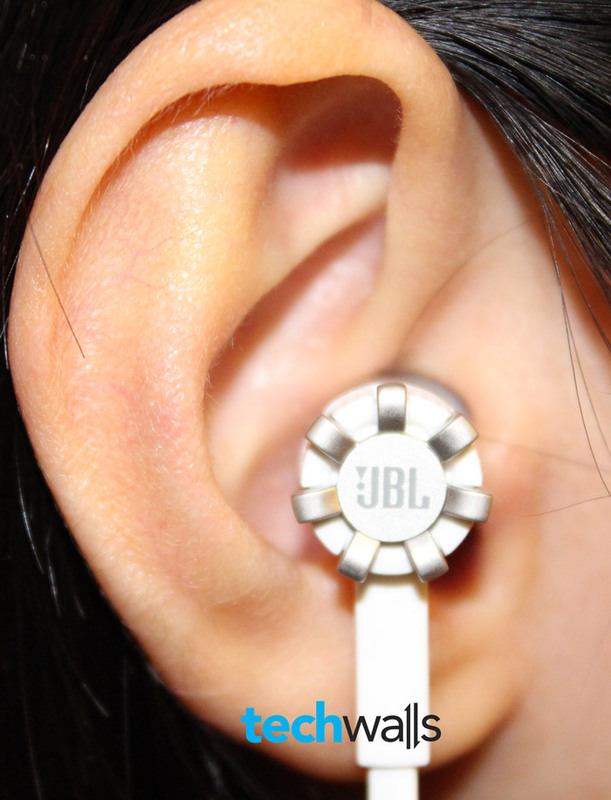 May be it is so tiny and the JBL hard to control the quality. But it stills sound good music. can you tell me the difference between the S200A and S100A? I tried both brand-new, not yet burned shure se215 and jbl s200a, and jbl s200a is much better in my opinion, the sound is warmer and clear, the shure se215 have excellent treble but its bass sound a little cold.